Sinking foundations in North Central Texas. More unlicensed North Texas home builder shenanigans. There really is no such thing as a free lunch. Renting a property out might seem like a way to bolster one’s income without requiring additional work, but anyone with even the slightest amount of experience as a landlord will be quick to correct that line of thinking. From destructive parties to flushing things that ought not enter a drain, you’ll always find a story that reflects poorly on the profitability of renting. Not every horror story starts with something as simple as a hole kicked in the wall behind a door or a carpet stain that is easily fixed. Sometimes the real horror stories are the tales that involve taking advantage of little-known loopholes, laws or simply the kindness of a landlord until it reaches a natural breaking point. These are just a few of those stories to offer a few straightforward reasons to study up before you hand your keys over to a stranger. 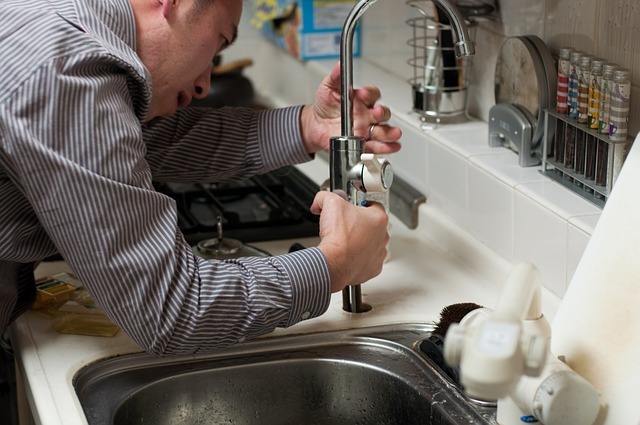 Imagine a landlord’s dream scenario: Your rental property has a small issue. It’s nothing life-threatening, but it does cause a small inconvenience to someone who lives there. The issue requires what might be nearly impossible, either through neglect of a contractor while installing fixtures or a massive renovation project just to reach the source of the otherwise small problem. So far this sounds more like a nightmare, but wait: Your tenant is willing to live with the issue in exchange for a reduction in maintenance fees. Rent still comes in, no massive project is required and everyone is happy. Except for lawmakers, as this very scenario is explicitly against the law in states like New York. 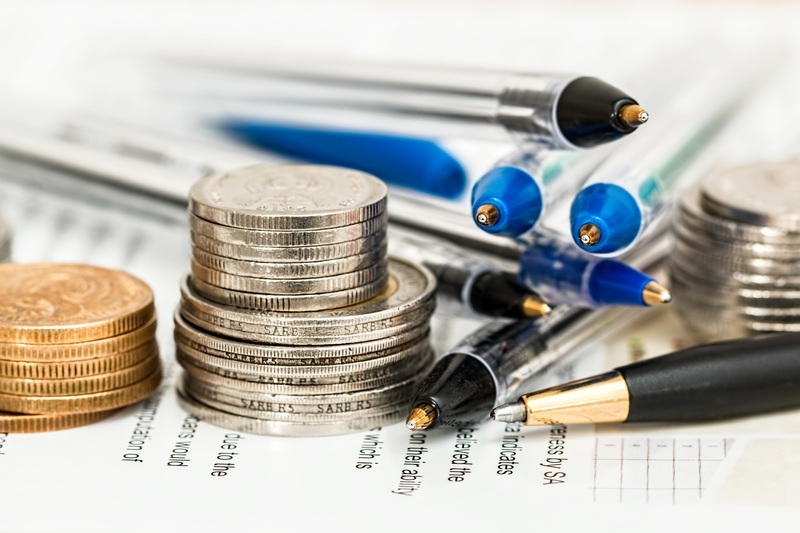 Landlords being required to keep up their property isn’t a new idea yet it is absolutely required even in cases where a tenant might otherwise be happy to ignore the problem in exchange for some form of reimbursement. If you’re concerned about the state of your building, make sure you brush up on rental codes and requirements for your area even if the problem is a small one. Something as simple as a toilet that backs up every week without major incident could require massively expensive repairs. When all else fails, brush up on how to fix a toilet that won’t flush and roll up your sleeves if you have to. Bringing in outside help is almost always more expensive in the short run. Companies like Airbnb work to make renting an easier process in the short term, especially for those on vacation or simply wanting to see unfamiliar sights but don’t want to shack up in a hotel for two weeks. While that aim is all well and good, the act of renting out your property through a site of that nature opens you up to squatters taking advantage of a legal gray area that could leave you without your home for some time. This exact scenario happened to Cory Tschogl, a California property owner who rented out her condo for what was supposed to be a month-long stay, only to have rental protection laws kick in just in time for the renters to refuse payment and squat for an extended period of time. Though they eventually left the premises under the cover of darkness, Tschogl reported no longer feeling safe in her own condo and will likely sell it to avoid potential retribution from the squatters. Taking the word of references may cut it for some areas, but not every landlord wants to put their livelihood at stake. Screening tenants thoroughly through a reliable service is the best way to avoid being burned by renters with a history of poor habits. Know the laws for your state and know the reliability of your renters before you sign anything over to anyone. While there are plenty of stories that regale with accounts of respectable homes being turned into burnt-out husks by negligent or criminal renters, sometimes a less obvious hobby can hurt you in the long run even if you aren’t aware of it. Jimmy Moncrief told an amusing story about trying to have a rental property refinanced, only to be denied after the home he had inspected turned out to house a massive collection of water pipes traditionally used for recreational marijuana use. 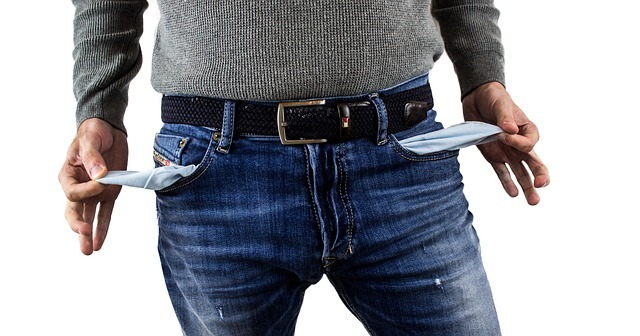 While he never mentioned any explicit damage to the property or even wrongdoing on the part of the renters he still found himself out of the running for refinancing over the lack of value found in the property along with similarly related factors. It’s a good thing he found the situation humorous. Renting isn’t for everyone and being a landlord requires patience, handy know-how and a fair knowledge of local laws to ensure you end up ahead in the end. Brush up on statutes and speak with people who have been there before to see how their stories might save you from reliving their worst rental nightmares. The foundation of a home is a vital aspect to its stability and strength. Without a good foundation, a home can’t stand and may begin to sink, fall, and crumble. 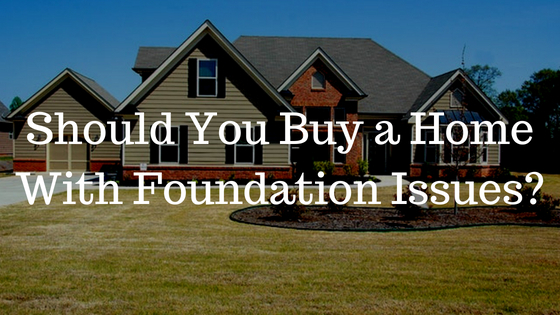 Does this mean you shouldn’t consider buying a home with foundation problems? We’ve set out to answer this question in this article. Some foundation problems are minor and can be fixed inexpensively. Some, however, can run deep and require a great deal of time and financial investment. Before taking the plunge, here are the five things that you need to know about buying a home with foundation issues. Hire a local foundation repair expert. Hairline cracks are often not an issue. However, it should be an issue of concern if these are larger, or if the tiles are cracked and separated. You should be worried if the flooring is sloping or uneven. This is often a result of soil shifting. Molding that is coming out or cracked can point to movement. If you notice cracks on interior walls, it may be a sign that soil shifting has taken place. This is another sign that soil shifting has taken place. Look for cracks in the walkways, patio, or porch. This often indicates soil movement. 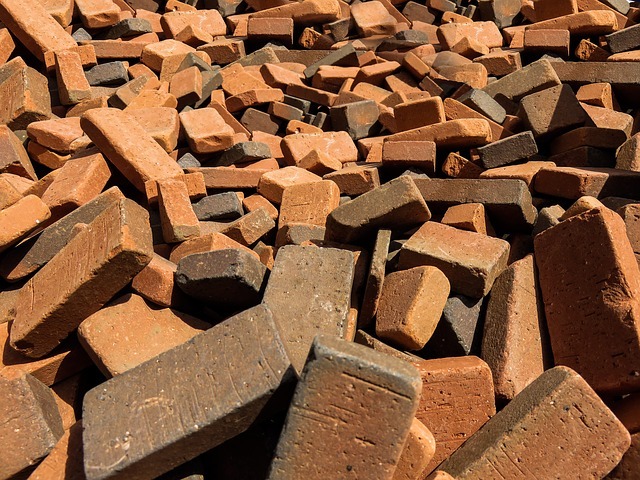 If there are cracks in the bricks or chimney, then foundation problems could be the issue. Do you notice any cracks on the foundation? Regardless of their size, you should have them checked out by an expert. You need someone who lives and breathes foundations on a daily basis. The results of their analysis should give you a clear idea of whether the house is worth purchasing, or not. Hairline cracks oftentimes aren’t signs of foundation problems. However, if the cracks are more than ¼ inch, it’s highly likely that movement has occurred. In this case, call a foundation repair expert immediately. Ask the seller about previous foundation issues. If you notice any of the signs, then it’d be best to ask the seller about previous foundation issues. If there were, request for the documentation of the repair work. Next, gauge whether the repair company is reputable or not. A quick Google search should help you with this. You can also ask your home inspector for their opinion on the company and whether they think you should get a second foundation repair professional’s opinion. If you do manage to find the company online, look at their online reviews. Do they point to a reputable company? If yes, then you’d want to carefully examine the reports. Also, don’t forget to ask the seller whether the previous foundation repair came with a transferable warranty. The cost to fix foundation issues varies widely from a few thousand dollars to tens of thousands of dollars. According to HomeAdvisor, most homeowners will pay around $3,996 to repair foundation issues. Figure out how you are going to finance the purchase. After you have the repair estimate, the next thing is to figure out how you are going to finance the home purchase. It goes without saying that most traditional lenders will not finance a home with foundation problems. But for the few that will, the interest rate is usually a bit higher. Alternative financing is oftentimes the go-to option for most people. There are always more homes in the market. However, if the issues are minor and won’t take much time and financial investment, you could consider going ahead with the purchase. Just make sure that the problems are evaluated by a professional foundation repair specialist. You can also try negotiating on the purchase price of the home if the foundation repairs are significant. How soon can you begin work? How long is the estimate good for? Is the estimate the true final cost, or are there possible add-ons or line items to account for unforeseeable expenses? What kind of training do you provide for your employees? On average, how long does it take your company to complete these kinds of projects? Now that you are armed with all these crucial details, you should be able to decide whether buying that home would be the best decision, or not. This article was provided by Granite Foundation Repair. Granite provides foundation repair services in Dallas, Arlington, Plano and surrounding cities. 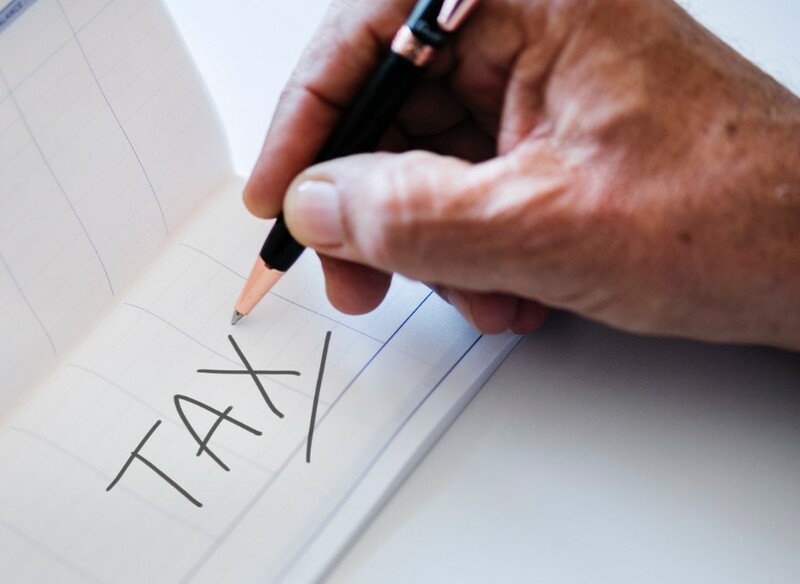 Did you know that utility companies in Texas are not allowed to collect state or local sales tax on the utilities they provide? See: https://comptroller.texas.gov/taxes/sales/utility/ Check your bills. If it is happening, file a complaint with the Texas Comptroller of Public Accounts. Skipping building permits and hiring unlicensed workers can end up costing you a bundle. December 21, 2012 – MSN Real Estate – Marilyn Lewis Rules, permits, licenses, insurance. Our grandparents didn’t need all of it when they built and remodeled their home. Should we bother? Why not just forge ahead and cope with any fallout later? It’s sure tempting, for one big reason: It’s cheaper. But you could pay a steep price for the savings. With construction prices high, homeowners working within a budget may ask themselves, “What’s the harm in skipping all the red tape?” Permits and licenses cost money in a couple of ways. Alerting authorities that you’ve added 500 square feet to your house is likely to raise the assessment of your home’s value, for one thing. A bigger value equals higher taxes. And the permits themselves cost hundreds or even thousands of dollars, depending on your project and the fees where you live. Homeowners may try to save by hiring unlicensed contractors. Some work for 20% to 50% less — big savings on, say, a $30,000 remodel. Unlicensed workers don’t have the expense of a state license, continuing-education classes, liability insurance and workers’ compensation coverage. Despite the lure of these savings, you’re gambling by cutting corners. Maybe you won’t get caught. Municipalities often don’t look aggressively for offenses. But all it takes is someone — usually a disgruntled neighbor — to alert them and then you’re in for an expensive headache. Each city and county enforces its rules differently, so it’s hard to know what will happen if you are busted. You’ll probably have to submit to an inspection. If the work was done to code but not permitted, you may only need to purchase the permit. But if the work is faulty, or if it’s hidden behind a wall, your expenses will start to climb. “Let’s say [the homeowners] have illegally remodeled. They have to tear down portions of the wall so the city can see the electrical and plumbing to see if it was done to code. … Sometimes they just have to tear the whole thing out,” says attorney Linda Pieczynski, a contracting prosecutor for 12 municipalities in DuPage County, Ill., west of Chicago. Going after violators is part of her work. Why do cities crack down so hard on violators? “The issue is safety,” Pieczynski says. A neighbor’s property could catch fire, or someone who buys the home later on could be hurt. Occasionally, a homeowner doesn’t fully describe the project, Pieczynski says. “They’ll say, ‘Do I need a permit to replace a window?’ And the answer is, ‘No, not normally.’ But if you’re really going to replace windows and add a sunroom, then, yes, you need a permit.” When they’re caught, they complain they were told they didn’t need a permit. – A bank declines to lend money on the home. – Your contractor did a poor job. – Problems appear after you’ve sold the home. 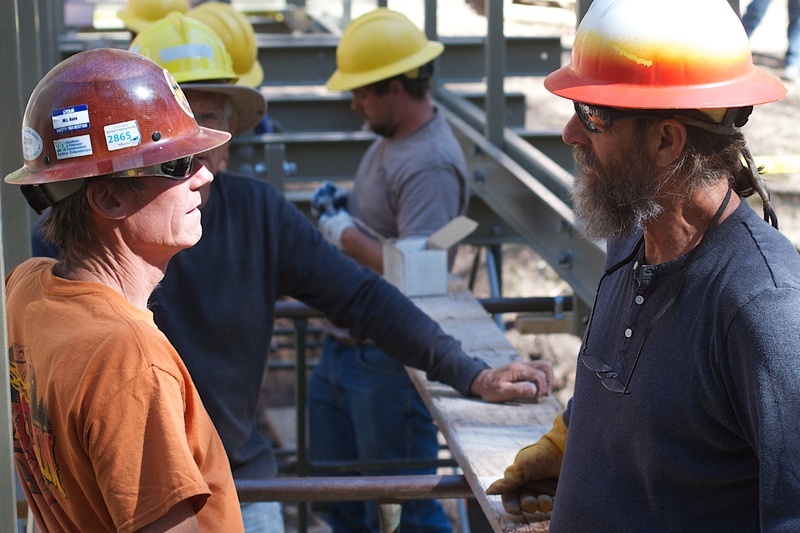 – A worker is injured on your job site. A remodel or addition done without permits may cause you no trouble at all until you decide to sell or refinance. At that point, the lender considering mortgaging the home will hire an appraiser who examines the structure. Appraiser Randolph Kinney, in Carlsbad, Calif., sometimes uncovers illegal additions when a lender asks him to appraise a home. Kinney measures each home, calculating the square footage and comparing his results with county records. If his total is greater than the public record, it’s a tip-off that something’s wrong. He searches for permits issued to the home’s address. If he finds none, the bank may decline to issue a loan on the home. Before the real-estate bubble and crash, lenders sometimes accepted construction done without permits. “But now they won’t,” Kinney says, because illegal construction is a risk for the lender. A fire insurance carrier, for example, may refuse to honor a claim. “If there’s a wiring problem or something happens to where it burns the structure to the ground, it voids the insurance,” Kinney says. Even if a bank agrees to lend on your home, your problems are just beginning. When you try to sell, illegal construction can become an issue. Smart homebuyers and their agents are learning to search county records for details on homes they’re interested in. Illegal construction is likely to turn off potential buyers. The offers you do get may be lowballs, since buyers will want to account for the cost of fixing the home to code. Even if you play by the rules, you could be hurt by illegal construction. If you innocently bought a home with building-code errors or violations, you will probably be held accountable. “Most people we try to work with, we realize that you didn’t do the work, this was the previous owner. But you’re the one who’s responsible for making it safe,” Pieczynski says. It is a lesson that a young single mom in Sarasota, Fla., learned the hard way. Greg Yantorno, chief building official for Sarasota County, tells the story. The homeowner, whom Yantorno did not name, paid $98,000 in November 2011 in a short sale for her first home: a three-bedroom, two-bath ranch for herself and her young son. Since 2006, the small house had been bought and sold several times, including for $190,000 in 2006, and for $26,000, in early 2011. Along the way, the original two-bedroom, one-bath structure acquired a third bedroom and a second bath. Soon after moving in, she called a plumber because sewage had backed up into her child’s bathtub. The plumber, finding code violations, summoned a contractor who alerted the county. The additions were done, it turns out, without permits, by enclosing a carport. “Based on what I’ve observed, it certainly wasn’t a licensed person doing the work,” Yantorno says. A load-bearing support post had been removed, putting the roof at risk of collapse. Correcting the problems — reinstalling plumbing and removing and restoring a wall to reach it, hooking up to city sewers, reinstalling windows and rebuilding a lanai — will cost the homeowner $25,000 to $30,000, the contractor estimates. Substandard construction is nothing new. But it seems to have been popular in the foreclosure crisis. “A lot of unlicensed people were doing work. People were flipping houses, doing a few repairs and trying to sell them. Owners were trying to do work themselves,” Pieczynski says. 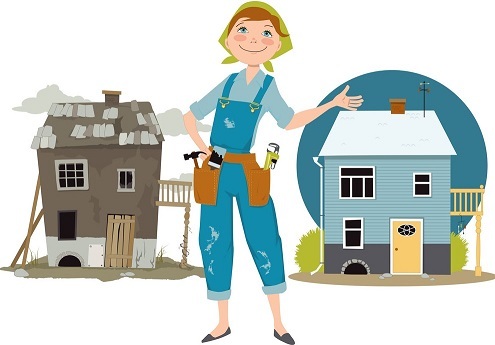 – Get the history: Ask the homeowner or the listing real-estate agent for a history of work done to the home. “If you ask the seller, ‘Did you have a permit for this?’ and he lies to you, you may have an action for what’s called a ‘fraudulent conveyance,'” Pieczynski says. – Find the record: Visit the city or county permit agency to see the file for the address of the home you’re considering. The file should contain any building permits taken out for the home. It’s a red flag if you know work was done but you can’t find the permits. – Get help: On the International Code Commission’s map, you’ll find permit information and contacts for many local and state building and licensing authorities. Caveat: Not all cities and counties participate. Even if a permit isn’t required, you’re supposed to hire licensed and insured workers. Do-ityourselfers usually get an exception, but they must use licensed professionals for structural, electrical and plumbing work. The exception doesn’t cover your brother-in-law or his pal Morty, the unlicensed contractor. Each state differs in its approach. California, for example, requires licensed workers for “all but the most mundane forms of home maintenance,” says Peter Brewer, a Palo Alto, Calif., attorney who’s an expert in housing and real-estate issues. “Cleaning your windows, no. Replacing your windows, yes. Doing roof repair, absolutely. Building a fence, yes,” Brewer says. Call your local government to learn the requirements. It’s tempting to hire someone cheap, but the drawbacks can be severe. “If you don’t have a contractor and you hire unlicensed persons, you are the de facto general contractor, and you are on the hook for defective work for up to 10 years,” Brewer says. Even a contractor’s license doesn’t completely protect you. A contractor also needs two kinds of insurance: liability, to compensate you if the work fails, and workers’ compensation insurance, in case someone is injured on the job. – Ask to see a contractor’s license and proof of insurance. – Make and keep photocopies. – Phone your state licensing agency (found here, through the National Association of State Contractor Licensing Agencies or at the Contractors’ License Reference Site) to confirm it is current. – Phone the insurance agent to ensure that the policy is in force. Otherwise? Well, here’s another cautionary tale, from a cooperative housing community in Washington state. The group hired help to build a community hall, followed all the rules, obtained permits and purchased workers’ comp insurance for its contractors and volunteers. But after most of the work was finished, they hired a contractor for one more job. A member of the community recalls, “We did not know he had recently dropped his license and coverage. We should have verified his coverage, and we did not.” The worker fell from a ladder. His medical care cost the community thousands of dollars.